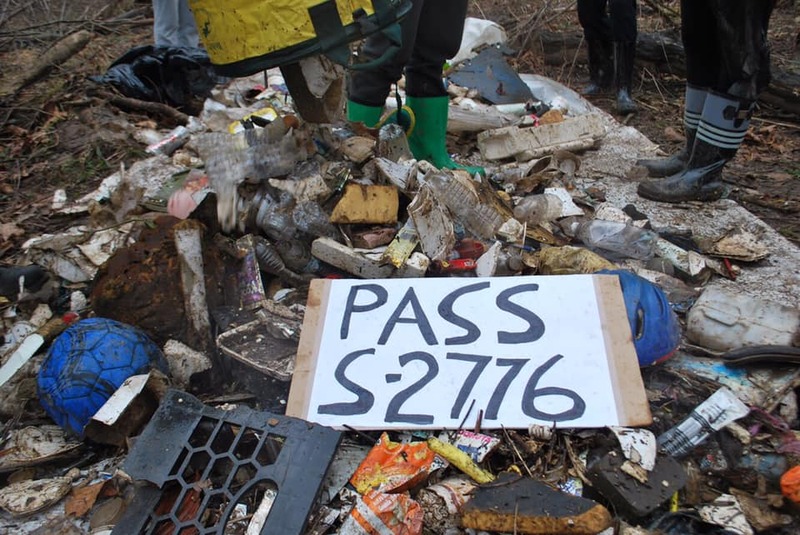 On Sunday, March 31st, following a tip from local resident Andrew Still, the Surfrider Foundation: Jersey Shore Chapter hosted a cleanup in Green Brook, New Jersey. Despite cold temperatures and some rain, over 70 volunteers showed up to get the job done! The debris was some of the worst the chapter has seen. Garbage patches and numerous types of debris covered the banks and floated throughout the brook. 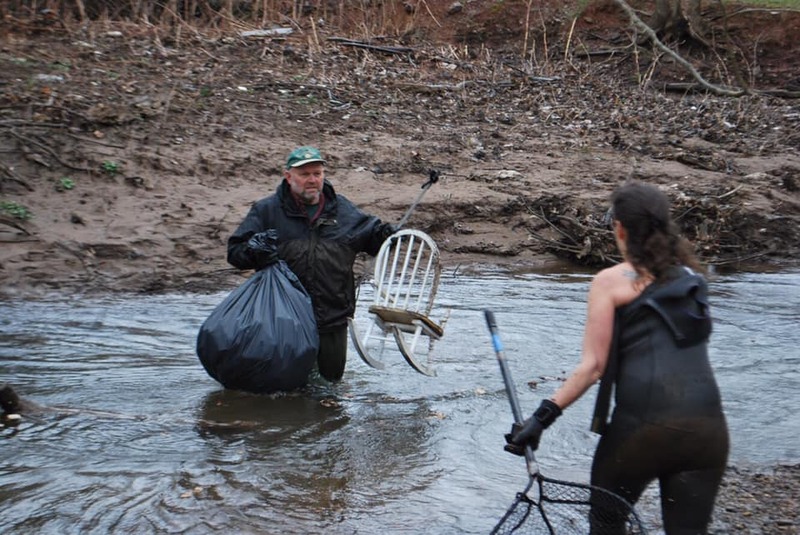 Safe to say over 90% of the material was plastic which would inevitably make its way downstream into the Raritan River should it remain untouched. In total, volunteers picked up 3,986 pounds of debris. Of that weight, 2,560 pounds was trash 1,359 pounds metal, and 67 pounds recyclables. Click here to see more pictures of the cleanup! Click here to help the Surfrider Foundation urge NJ officials to pass statewide plastic legislation!